Don't CURB your enthusiasm (get it?) 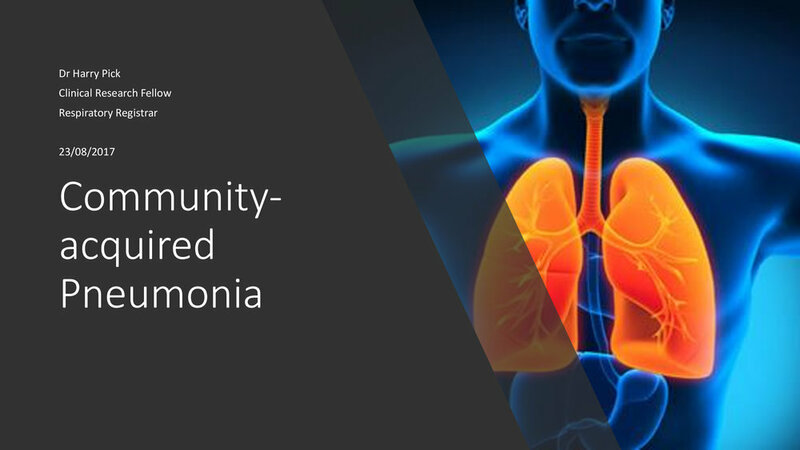 for more #FOAMed brilliance as our favourite Respiratory SpR Dr Harry Pick came down to the pod to talk about Community Acquired Pneumonia. Harry kindly gave us his Powerpoint on Community Acquired Pneumonia. Click either side of the images to scroll through them. As mentioned by Harry here is the Pneumonia Trust website. BTS Pneumonia guidelines are here and here are the NICE guidelines. Here is the CURB 65 severity score for Pneumonia. For information on Sepsis check out the podcasts for Sepsis and the NICE guidelines.